On both Google Play and the Apple App Store, users of your app can submit ratings and reviews. These ratings are gold…if they are positive. Your app’s rating will influence how many people feel compelled to download it, how often it appears in search results, and consequently – its long term success. App ratings are front and center in app store research results as well; along with the app icon and app title. This makes them extremely important when it comes to how likely a user is to click through from the search results to learn more about your app. We all want more and better ratings of our apps…so how can we encourage users to submit their positive feedback? 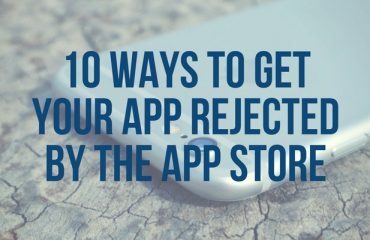 Thanks to a few plugins on the market, app developers can prompt users to review their app…without writing the code from scratch. The “ask” takes place through a pop-up while the user is engaging with the app. Our favorite app review plugins include standard functionality to, for example, only show the pop-up once the user has opened the app a certain number of times, or a certain number of days have passed since the app was downloaded. These intelligent features reduce the risk of annoying first time users with a rating request. Delaying the ask also gets users to the point that if they are still using your app they have probably figured out how to use it, and like it. Two popular software kits that accomplish these goals are Apptentive and Helpshift. What I love about the Ratings feature in Apptentive’s software kit is the intelligence behind it. What if you could intercept negative feedback and only invite those users who love your app to submit a review? Unhappy users of your app would be invited into a conversation with your support team. With Apptentive it’s possible. In addition to app ratings and in-app support and surveys, the Apptentive bundle also includes analytics. Your company can dive into reports to discover how users rated your app and why. Helpshift offers a more function-rich SDK than Apptentive, but depending on how your organization wishes to use it, the extra functionality could be redundant (in-app FAQs, push and in-app notifications). Like Apptentive, Helpshift has a “smart” Rate This App feature…but not as smart as Apptentive’s. Apptentive allows your organization to assess sentiment BEFORE inviting the user to submit a review. Helpshift includes a “Send Feedback” option in the ask which they hope will draw unhappy users away from the “Rate” button. I wasn’t wowed. Important to know is that each time your company releases a new version of your app to the App Store, Apple resets your ratings and your app starts from scratch. This ‘reset’ is beneficial when a series of bug fixes and improvements will drive better ratings…the downfall is that an already well-rated app will lose its position until new ratings start coming in.